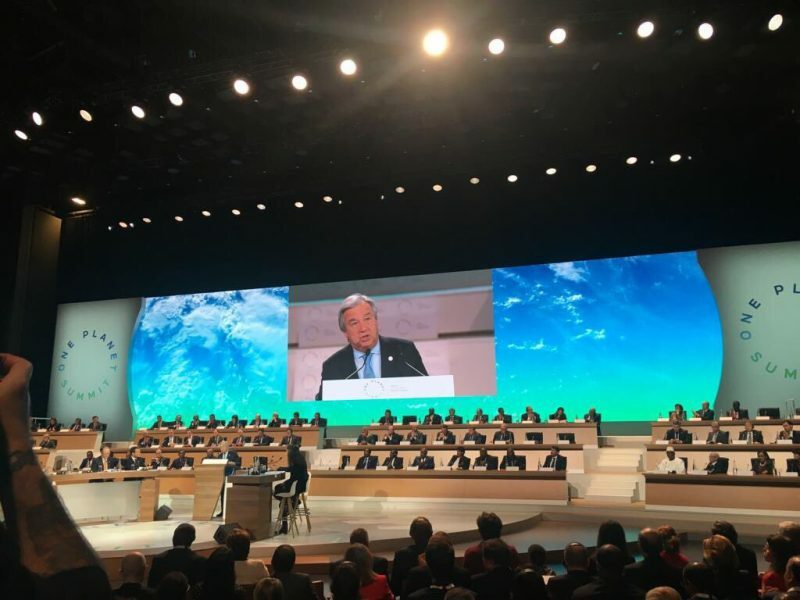 Last week marked the two-year anniversary of the landmark Paris Agreement. Since its signing, investors and stakeholders have raised their expectations of corporate directors to address climate-related risk and opportunity. How this movement will help accelerate the shift to a net-zero economy. 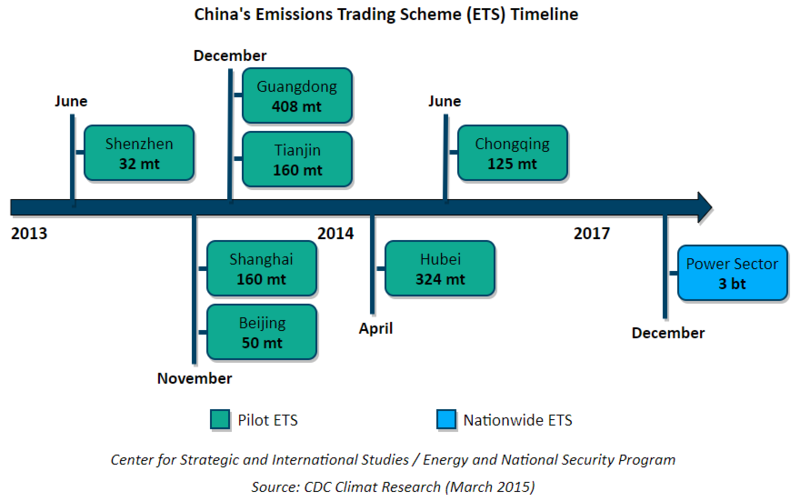 China released a roadmap for the nationwide carbon emissions trading scheme (ETS) on December 19, 2017. The initial phase will focus on the power sector, involving 1,700 power companies, and the trading will be based in Shanghai. The power sector ETS will cover over 3 billion tons of carbon dioxide annually—roughly one-third of total carbon emissions by China, which is the largest carbon emitter in the world today. Under the plan, power companies—upon receiving credits—will first test out the ETS by simulating credit trading without actual payment. The ETS will eventually include additional energy intensive sectors, such as iron, steel, cement and chemicals and the enforcement of emission limits will begin in 2019 or 2020. How the credits will be allocated remains unknown. The roadmap provides important and interesting initial details for the long awaited nationwide emissions trading scheme (ETS). While the original plan sees carbon emissions trading in eight sectors, including iron and steel, chemicals and paper-making, China decided to start with just the power sector. The initial phase will cover power companies that emit at least 26,000 tons a year of carbon, which practically targets larger users of coal and natural gas. 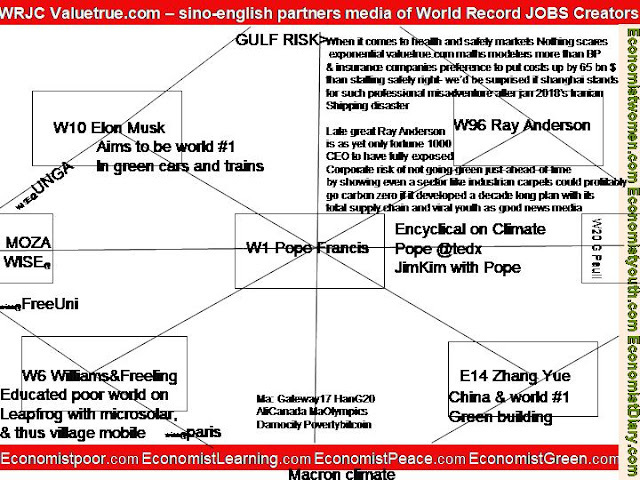 First mentioned in the U.S.-China joint communique of September 2015 and reiterated by President Xi Jinping of China at the COP21 meeting in Paris, in December 2015, the ETS had been declared to start in 2017. Less than two weeks before the turn of the calendar year, however, China went ahead with the release of roadmap to demonstrate its commitment to the ETS. The limited scope, together with the delay in launch reflect difficulties that the Chinese officials are encountering in establishing a comprehensive data collection system that is essential for setting target levels and allocating carbon credits accordingly. The difficulties exist despite China having some experiences with emissions trading through the pilot programs launched in seven provinces and cities in 2013. The power sector-only carbon emissions trading is still noteworthy in its scale: the 3 billion tons of coverage is significantly larger than the European Union’s emissions trading, which covered about 1.4 billion tons of emissions this year. Although China reportedly has no plan to link its ETS with that of other countries at this stage, the possibility of future linkage is a big boom for those striving to drive emissions reduction through the market-based approach. One key area for power sector emissions reduction has been to reduce the country’s heavy reliance on coal. According to the latest five-year coal market outlook by the International Energy Agency, China’s coal power generation saw an increase in 2016, and thermal coal demand for power generation is forecast to increase in the medium term although the country’s total coal consumption appears to have peaked and is forecast to continue declining. The power sector-only ETS can help keep the coal power emissions under check and ensure this near-term increase does not lead to a reversal in China’s carbon emissions reduction trend. The gradual introduction of ETS is far from a cop-out on the highly ambitious original plans for a multi-sector trading system. The experience from the power sector ETS should inform Chinese effort to improve monitoring, reporting and verification (MRV) of emissions trading that is crucial to effectively enforce the compliance. In the coming weeks and months, we are likely to learn details on China’s MRV system, including how participants submit emissions data, register emission rights, as well as emissions trading and settlement. Hope in the slums of Nairobi. In an informal settlement in Nairobi, Kenya, nearly 400 impoverished youth and women share equity in a community-owned project for recycling urban waste into energy. The venture serves as a model for environmental solutions that address the waste management and youth unemployment challenges faced by many African cities. States are “decoupling” growth and emissions. From Maine to California, more than 30 U.S. states have delinked their economic growth and carbon emissions, confirming what was once assumed to be impossible: that a prosperous economy can also be a green one. Introduction CSIS in partnership with the Shakti Sustainable Energy Foundation hosted the first-ever U.S. – India Subnational Energy Workshop in New Delhi. The event brought together over 100 participants over three days including 10 representatives of Indian states, 12 representatives of U.S. states, India’s Ministry of New & Renewable Energy (MNRE), Energy Efficiency Services Limited (EESL), and several U.S. federal government agencies to discuss common challenges in deploying technologies, creating policies and management of the grid of the future. The event was kick-started with an evening reception at the U.S. Embassy supported by AmCham and Azure Power. On November 2nd, U.S. and Indian states shared which smart power technologies they were deploying, challenges of managing those technologies, issues of capacity and training for staff, as well as the need for important regional interconnections to uptake new sources of distributed power. On November 3rd, participants were invited to partake in a tour of Tata Power Delhi Distribution Limited’s state-of-the-art Smart Grid Lab in Delhi. The tour allowed participants to see first-hand how Indian utilities are dealing with the challenges of transforming India’s electricity sector and readying themselves to deploy technologies for managing the grid of the future. Key Learning Given that this was the first gathering of U.S. and Indian state energy officials, the surprise among stakeholders was that the challenges states face in both countries are common. The solutions come from examples of policies and regulations enacted by states and partnerships and programs formulated by private sector, research and civil society groups. Specifically, U.S. and Indian states both need to: • Manage the integration of new sources of renewable energy, including improved wind and solar forecasting • Deploy new energy management technologies that allow utilities to monitor power use, improve billing efficiency and engagement with customers • Integrate state-of-the-art technology adaptable to the needs of states including interoperability measures that allow for optimal operational efficiency while incorporating applications for the rise of the internet of things (IoT) o This would connect consumer services, substation workers, technical officers and engineers and improve coordination for more effective management of the grid • Deal with existing thermal power assets as the energy transition is undertaken • Continue to incorporate energy efficiency measures either as retrofits in the U.S. or from the start as the opportunities are greater in India • When choosing technologies, move away from relying on only least cost as a metric for procurement and instead, also consider the long-term aspects of solutions • Use data in better and more effective ways to improve programs and build the case for how and which technologies are deployed • Establish connections with research institutions and universities, for new technology deployment evaluation and piloting community projects • Empower and work with municipalities and urban local bodies to the extent possible, particularly in India • Establish a forum, like the National Association of State Energy Officials that can allow Indian states and state-owned utilities to share best practices amongst themselves and to engage collectively with the central government and foreign stakeholders Next Steps 1. Future Workshops a. In April 2018 a workshop will be organized in India focused on electric mobility i. U.S. states will travel to India b. In September 2018 a workshop will be organized in the U.S. focused on energy storage i. Indian states will travel to the U.S. c. The Secretariat will alert member states to opportunities to engage in important energy-specific gatherings in both countries to facilitate continued conversation 2. Analytical Output a. The Secretariat of the State & Urban Initiative will engage participants by soliciting short analytical material to unpack the energy issues being faced by states in both countries b. The Secretariat will also form an expert group that can provide inputs to draft policies that are open for public comment being issued by state governments in both countries c. The Secretariat will create podcasts specific to the challenges faced by states 3. Strengthening the U.S. – India Subnational Energy Cooperation Alliance a. The Secretariat will track conversations between potential partners who were able to connect as a result of the State & Urban Initiative i. When a specific partnership is ready to be announced, the Secretariat will provide a platform to amplify the announcement and share the outcomes with the broader community b. The Secretariat will create a brand for the grouping of “Energized States” who choose to participate in this subnational energy dialogue i. This will require participating states to agree to send officials to meetings, provide written content and be open to collaboration with potentail partners c. The Secretariat will facilitate connections with potential partners should participating states choose to organize delegations in each other’s countries d. Findings from the workshops of U.S. and Indian states will be shared by the secretariat with both the U.S. Government and the Government of India in support of their on-going federal and bilateral programs In Detail: Discussion Questions Over the course of the day, U.S. and Indian states had a discussion around what kinds of technologies they are deploying and what kinds of policies and institutions they are working with to manage their grid. The Secretariat’s objective was to guide the discussion based on a few key leading questions. Answers to some of those questions are highlighted below. Seminar I- Powering the Grid of the Future: Key Technologies What initiatives are in place to pilot or test new energy technologies in specific regions of your state and what are the lessons learned from that experience? Representatives of Indian states are exploring new procurement and tendering processes reexamining how they might improve their power purchase agreements to deploy new technologies. In addition, they are piloting new systems operation software and forecasting tools for real-time monitoring. LEDs and smart meters are also being rolled out in pilot phases across India’s states while a few energy storage project pilots are also being planned in the states of Gujarat, Tamil Nadu, and Telangana. In the United States, energy storage programs, EV deployment strategies, and implementation of distributed generation are some of the leading areas of focus for the state energy offices. In addition, partnerships with research institutions are allowing U.S. states to study how independent micro-grids, including those run by cooperatives are increasingly integrating renewable energy and can interplay with centralized systems. Interestingly, rural irrigation needs are an important driver of power consumption for states in both countries. While in Nebraska a Load Control Program is allowing the irrigators to work with their local utilities to reduce energy usage, in Indian states like Gujarat and Maharashtra, Feeder Segregation allows for separate feeder lines to agricultural consumers helping monitor and improve overall power supply. Telangana is also working on improving the procurement& tendering process and rethinking PPAs in order to improve the system. What technologies require additional policy or financial support to be commercially viable or more broadly scalable? Energy storage, roof-top solar, electric mobility (both manufacturing and adoption) were cited as common to both U.S. and Indian states as technologies that require additional policy and or financial support in order to achieve scale. Policies defining the role of the private sector to be able to participate in the deployment of micro-grids was another area highlighted by Indian states with large unelectrified areas. For example, Uttar Pradesh has begun to employ new business models that allow developers to set up solar micro-grids and sell power to rural consumers, thereby alleviating the burden on state-run utilities. In the U.S., electric cooperatives which serve a large portion of the farming community (need) policies and incentives to integrate automated meter reading, SCADA, and energy storage technologies will help them move into the future like the grids managed by the independently owned utilities around them. Combined heat and power is a technology that requires more support in the U.S. and may be suitable for Indian states with large heating needs where cities are in early stages of development. Hybrid technologies such as wind-solar or solar-hydro or integrating energy technologies into existing infrastructure such as canal-top solar, distributed hydro in canals or sewerage systems in addition to floating solar plants are other areas that could use both policy and financial support to achieve scale. States in both countries are grappling with issues of cyber security and the internet of things (IoT) with U.S. states in the lead though privately-owned utilities in India like Tata Power Delhi Distribution Limited have started to understand the challenge as part of a grouping of international utilities that share best practices. Furthermore, in India, SCADA technology deployment needs to be supported with policies for supervisory control and training to make the most of these heavy investments for state-owned utilities. How much do issues about quality and concern over technological obsolescence impact issues of technology adoption? India’s state-owned utilities are cash-strapped and are in the midst of piloting various smart power technologies in order to improve management of revenue collection. To them, like private players both in India and the U.S. concerns regarding technological obsolescence matter a lot. Here, specifications set by government entities and approved vendors that are held to the highest quality standard can have an impact in alleviating concerns about quality. Furthermore, based on conversations with state officials, the best form of technology adoption is that which is supported by the policy experience of state-counterparts both within a country and examples from abroad. Some Indian state officials surveyed in the course of the project indicated that this was a need particularly when adopting foreign technologies. Evaluating technologies post-deployment and using that data to make decisions is paramount in making decisions regarding future technology adoption. Finally, central and state government programs in both countries, though moving at varied paces, are emphasizing workforce training and development to manage and keep up with emerging technologies. Seminar II- Managing the Grid of the Future Are existing institutional framework and governance structures adequate for enabling the transition to a less centralized, more flexible grid? Cities, more empowered in the U.S. than their Indian counterparts are the driving forces for experimentation and deployment of new technologies and being the managers of localized institutional arrangements. 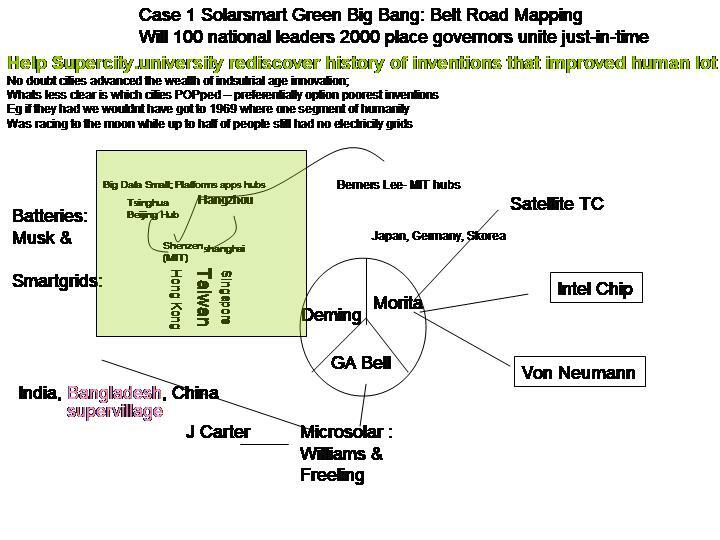 In turn these cities are able to create jobs while deploying and managing emergent technologies. New coalitions like the Under 2 and Resilient Cities are meant to help states and cities from across the world share how they might build more reliable and resilient energy systems in the face of climate change. However, these are platforms for sharing best practices and setting benchmarks – ultimately to be enforced by those subnational entities that are committed to upholding them. Regional grid cooperation as mentioned by several Indian states perhaps modeled along the lines of regional power pools might help states share information, achieve optimal dispatch schedules, balance out variations at least cost, and integrate increasing amounts of renewable energy. Increased learning between states is facilitated by organizations created by states, for states, such as the National Association of State Energy Officials in the U.S. While the Association of Renewable Energy Agencies of States (AREAS) does exist in India, it is at present inactive and the coordination amongst state-owned utilities and state power departments is very limited. There is also a need to have a conversation about how best to prepare integrated generation, transmission and distribution plans for the power sector, and manage the energy transition which will include dealing with stranded assets as we commence the deployment of the grid of the future. As always, continued improvement in technology procurement standards will help the best and not least cost solutions be deployed. Finally, interaction with and clear guidelines for electricity distribution cooperatives operated through micro-grids and for the urban solar rooftop residential market will be important for successful management of the grid of the future. What types of partnerships with non-government organizations (research institutions, incubators, civil society, etc.) have shaped your strategy? In the U.S. states are partnering with a range of institutions including technology start-ups and incubators, research institutions, civil society organizations and companies to experiment with new models for distributed technology integration. No state in the U.S. has demonstrated this quite like the state of California, which has through policy measures more aggressive than federal mandates, driven clean tech innovation. It has furthered this by working with its existing network of universities, and by fostering the growth of new institutions such as the Los Angeles Clean Tech Incubator and the California Clean Energy Fund. U.S. states are also learning from the examples of military bases and universities that are early adopters of technology – in order to formulate state- wide policies. In India, states are pioneering new models for customer engagement in the distributed solar sector by setting up trainings for technicians and call-centers for strengthening the maintenance and servicing ecosystem for these technologies. Indian states are successfully partnering with Energy Efficiency Services Limited (EESL) to deploy energy efficient technologies such as LED bulbs and streetlighting and energy efficient water and sewerage pumps for both agricultural as well as municipal needs. How do tariffs and compensation structures need to change to send the market signals to enable deployment of new technologies and systems? First, tariff simplification and rationalization including time of day (ToD) tariffs for bulk procurement by utilities are necessary for improving the financial and operational performance of utilities. Availability of peaking and ancillary power services would also help bridge the gap between demand and supply of power. In addition, procurement policies need to move away from lowest cost options as they threaten the long-term health of the electricity sector and may not match the specific needs of states. To address cost burdens associated with high demand subsidized agriculture sector, particularly in Indian states, new business models such as those being implemented to incentivize farmers to become managers of mini-grids and sell power back into the system while also meeting their needs might be a mechanism to alleviate the burdens of the current tariff regime. We are not yet winning the war on climate change — the defining challenge of our times. The Paris Agreement lays the basis for ambitious action. But we know that current commitments will not get us there. Every day, in every region, the front pages are dominated by weather-related disasters – storms, floods, droughts, fires. My recent visit to Barbuda and Dominica was truly heart-breaking and eye-opening. Climate change is moving much faster than we are. Atmospheric levels of carbon dioxide are higher than they have been for 800,000 years. Alarmingly, this year saw the first increase in CO2 emissions in three years. The past five years have been the hottest period on record. We are in a war for the very existence of life on our planet as we know it, but we have an important ally – science and technology. First, because what is happening is exactly as science has predicted. Second, technological progress has already exposed the falsehood that responding to climate change is a threat to the economy. The cost of renewable energy is plummeting. All around the world, cities, regions states and territories are taking climate action and setting their own ambitious targets. Thousands of private corporations, including major oil and gas companies are taking their own action. Green business is good business. We are seeing new industries. New markets. Healthier environments. More jobs. The message is simple: those who fail to bet on a green economy will be living in a grey future. That means much greater ambition by governments, civil society, the private sector — and the world of finance. Finance could be, should be and will be the decisive factor — the difference between winning and losing the war. Finance in its very nature is forward-looking. We must make sure that it works not only for profit but for the future of people and the planet. Today’s global financial system is awash with funds. Tens of trillions of dollars are earning low or even negative interest rates. But, the opportunities for productive and profitable, low-carbon, climate-resilient investment are vast. It is also a fact that fossil fuels remain heavily subsidized – meaning we are investing in our own doom. I have heard it said that the stone age did not end because we ran out of stones. We don’t have to wait to run out of coal and oil to end the age of fossil fuels. We need to invest in the future, not the past. We need policy makers and central banks, stock exchanges, pension funds, rating agencies and all financial actors to align investments with the needs of climate action and sustainable development. Comme je l’ai dit, les fonds ne manquent pas, c’est la confiance qui fait défaut. Il nous faut y remédier. Cela signifie qu’il faut avant tout veiller à ce que les pays riches honorent leur engagement et apportent 100 milliards de dollars par an jusqu’en 2020 à l’intention des pays en développement. Nous en avons tous la responsabilité. Cela signifie que le Fonds vert pour le climat doit devenir un instrument efficace et souple, notamment pour les pays les plus vulnérables comme les petits États insulaires et les pays les moins avancés. Ces deux conditions sont indispensables pour que la confiance règne entre pays développés et pays en développement. Les pays en développement ne sont pas responsables du problème auquel ils ont à faire face, et ce n’est donc que justice que les pays développés les aident à mener ce combat. Mais les États n’y parviendront pas à eux seuls. Les capitaux privés sont indispensables. Il nous faut créer la confiance et réduire les risques, utiliser au mieux les ressources disponibles et trouver des modes de financement novateurs, comme les obligations vertes dont la viabilité et le succès sont déjà des réalités. Les institutions de financement du développement, y compris le Groupe de la Banque mondiale, co-organisateur du Sommet d’aujourd’hui, ont un rôle essentiel à jouer à cet égard. En limitant les risques, elles peuvent encourager les investissements dans des projets qui contribuent à la lutte contre les changements climatiques. De leur côté, les gouvernements doivent contribuer à créer un environnement propice. Il existe actuellement plus de 1 200 textes législatifs se rapportant au climat, dans plus de 60 pays. La tarification du carbone concerne déjà des activités qui représentent 13 pour cent du PIB mondial. Alors que nous cherchons à faire preuve d’une ambition plus grande encore dans le cadre de l’Accord de Paris, j’invite instamment tous les gouvernements et toutes les parties prenantes à aller encore plus loin. Le train du climat n’attend pas. Embarquement immédiat ! Il n’y a pas de plan B. 1950s Eastern Hemisphere Liftoff- the role of Demings in building Japan as first post-industrial economy- without quality systems advances in minaturising electronics (eg sony) and so computing would have been delayed in spite of von neumanns open sourcing of his work at Princeton- as would such expoential multipliers as programmable chips, satellite communications. Chinese President Xi Jinping on Tuesday called on California to play a bigger role in promoting exchanges and cooperation ..